Watch just one football game and you will see each player endure numerous physical hits to the body and head. Studies are now concluding that many student athletes are suffering concussions in football and other sports in which physical contact occurs. Studies confirm that concussions are occurring at a much higher rate than is reported because the physical, cognitive, and emotional effects often go undetected. It is essential for parents, coaches, and doctors to understand how serious traumatic brain injuries are. Important factors include the proper diagnosis, if and when athletes can resume playing sports, what symptoms to look for, and the short- and long-term effects of concussions. 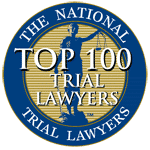 Some of the liability issues involved in sports injuries include who is responsible for the concussion and what precautions should have been taken to prevent or reduce the severity of the injury. Communities need to be aware of the risks of excessive contact in high school and college sports. Parents should be informed of their rights and remedies (and the rights of the student athlete) when a son or daughter suffers a traumatic brain injury, which can cause suffering, major changes in functioning, or even death. A concussion is a type of brain injury, usually caused by some impact or trauma. The brain, an organ that weighs about three pounds, floats inside the human skull, protected by cerebral spinal fluid. An impact or trauma can cause the brain to move about the skull in an abnormal fashion, causing the brain to make contact with one side of the skull, called the coup, and then the other side, called the contrecoup. An unnatural impact can also cause the head to rotate too quickly, called a rotational concussion, which can strain or damage brain tissues. Any type of concussion can cause neurological harm. Whether the child athlete suffered a direct impact to the head. Whether there was an indirect body impact, which may have caused neurological damage. If the child athlete suffers from any physical problems, such as headaches or nausea. If the child suffers from any cognitive difficulties, such as memory loss or difficulty focusing or concentrating. If the child suffers from any emotional issues, such as depression, sadness, or being irritable. If the child has daily living troubles, such as difficulty sleeping, a poor appetite, or a state of lethargy. That high school athletes who suffer a concussion often need more time to heal, may suffer more severe symptoms, and may suffer more neurological damage than college-age and professional athletes may. 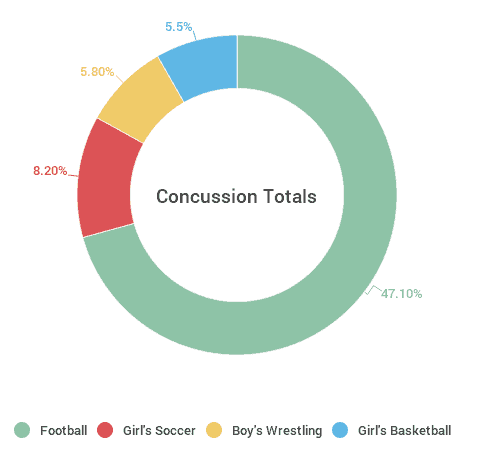 That over half of high school athletes have already suffered a concussion before they even begin their high school sports career, and that over one-third of college athletes suffered multiple concussions. That for athletes under 25, specialized treatment is required because the frontal lobes of their brains are not yet fully developed. For more information about what concussions are, please see these frequently asked questions prepared by the Sports Concussion Institute. Concussions can be difficult to diagnose. Sometimes the athlete loses consciousness, but most times, there is no such loss. For more information about concussion symptoms, see this report prepared by Head Health Management System. A child who has—or may have—suffered a concussion should not be rushed back onto the playing field. Athletes who return to the game too early are more likely to suffer another concussion and may suffer another serious injury because of their impaired performance. The school, parents, and community should have policies in place to prevent children from returning to sports competition until they are really ready to play after an injury. Determine the diagnosis. A diagnosis should only be made after a thorough medical examination, including a full battery of standard concussion tests. The diagnosis helps determine appropriate treatment options and the duration of the recovery period. Review the relationship between the condition and athletic performance. In addition to cognitive abilities, the athlete’s physical endurance, strength, and coordination should be considered. Examine the risk factors and likelihood of a secondary injury. A combination of injuries can increase the likelihood of harm exponentially. 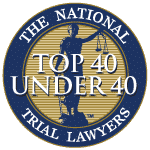 Risk factors include the type of sport, the player’s position, and whether or not the child is playing a team sport, which poses greater risk for a collision. Review the treatments and symptoms. If the athlete is still suffering symptoms, he or she should not return to play. Players should not return prior to the standard healing time their doctor recommends or before treatment is complete. Explore safety issues. Safety can include the use of equipment such as helmets. It can also involve assigning the athlete a less strenuous position and one where there is less likelihood of physical contact. Practice hours can be limited, and other safety measures can be taken depending on the sport being played. Determine the medical guidelines that apply for concussions for the school, the league, and the medical community. Guidelines should be met before the player returns to competition. Get informed consent. High school competition generally requires the consent of the parent. Informed consent means fully advising the athlete (and the minor’s parents) about all the risks of continued play. Find out what the child athlete wants. Athletes, especially minors, may have legitimate fears about playing again. The child should not be pressured to participate in sports again before he or she is ready, if at all. Risk factors also include the number and extent of prior concussions. Athletes who have had three concussions, for example, are three to nine times more likely to suffer a fourth concussion. There are some studies, again according to the CDC, that suggest that women are more likely to suffer a concussion, need more recovery time, and have more severe symptoms than male athletes. Other risk factors include a history of migraines or headaches and a history of developmental or psychiatric disorders. Doctors now use a variety of neurocognitive tests, according to the Nebraska Sports Concussion Network, to help determine if a child athlete has suffered a concussion. These tests are conducted in addition to imaging tests like CT scans, MRIs, and PET scans. The imaging tests help to show structural brain abnormalities and are often done at the local emergency room. The imaging tests can show internal bleeding, lesions, and fractures. Still, these tests do not show the full picture. Immediate Post-Concussion Assessment and Cognitive Testing. This University of Pittsburgh Medical Center test evaluates attention, memory, brain processing speed, and other cognitive abilities. Many NCAA Division 1 football programs use this test as do 75% of all Nebraska high schools. Baseline Testing. These are tests conducted in the offseason to provide a preinjury view of the student’s brain functions. Post-Injury Testing. When a concussion is sustained or suspected, the baseline is given to the student again. Trained professionals then compare the baseline and post-injury tests for changes and abnormalities. The results help to determine if and when the student should play again and what other tests and treatments may be needed – including sending the injured athlete to a neurologist, neuropsychologist, or neurosurgeon. The post-injury test should be given after the athlete is symptom-free. A study by the Center for Injury Research and Policy recently examined concussions suffered by high school athletes in the United States in 20 sports during the 2008 to 2010 school years. During that time, an estimated 300,000 sports-related concussions happened each year. The only activity, the report said, that causes more concussions among high school students are motor vehicle accidents. The rate of injury was six times higher for competition and games than for practice. Common reasons for concussions were mostly player-to-player contact, followed by player-to-surface contact. Over half of the athletes returned to play in one to three weeks. Only 2% returned the same day. 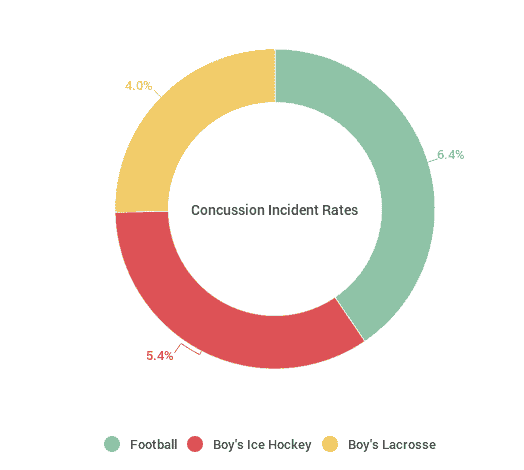 Understanding the type of sport played, the type of contact, the gender of the players, and the risk factors involved can help in the implementation of safety and prevention measures aimed at reducing the risk of high school concussion injuries. What are mild traumatic brain injury symptoms? A concussion is a form of a traumatic brain injury (TBI). 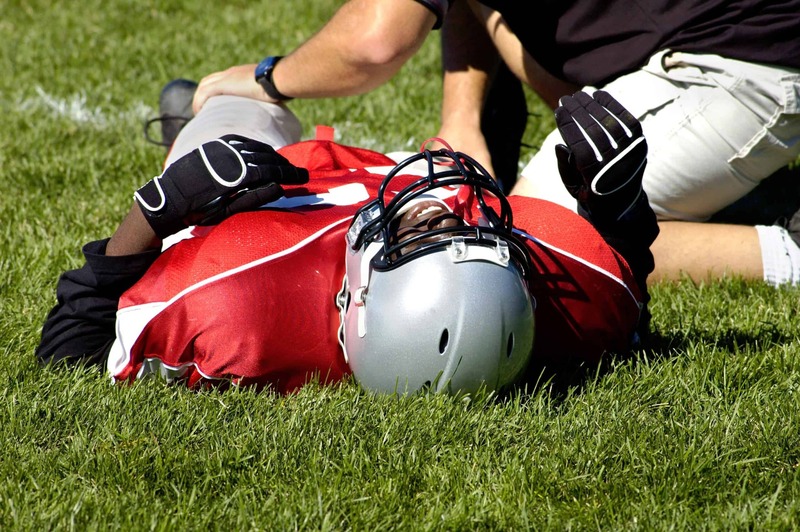 A concussion is considered minor if the athlete’s loss of consciousness or any confusion lasts less than 30 minutes. Even though diagnostic tests may be normal, the athlete may suffer physical, cognitive, or emotional problems. A mild TBI can do more than render the athlete the unable to return to play. It directly affects the wellbeing of the player, as well as those who live with the athlete. Concussions are also called minor head trauma, minor brain injury, minor head injury, or minor TBI. A mild TBI is often not properly diagnosed at the time of the injury. Even though the word mild is used, the injury can be quite serious. About 15% of people with a mild TBI diagnosis have symptoms that last for more than 12 months. Symptoms after the injury are called “post-concussive syndrome.” Many of the physical, cognitive, emotional, and daily living symptoms have been described above (see the concussion symptom section). Additional symptoms can include loss of smell, changes in mood, light sensitivity, and audio sensitivity. Symptoms can often be missed, in part, because they may not appear until days or even weeks after the initial trauma. It is important for family and friends to monitor the athlete. Family and friends are much more likely to notice the symptoms than the child athlete. What are severe traumatic brain injury symptoms? Athletes who suffer a severe traumatic brain injury often die or suffer permanent disability. 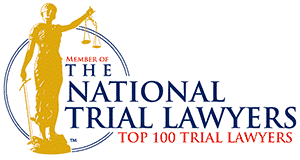 According to the CDC, TBIs are a factor in almost a third of US injury-related deaths. Many other serious TBIs require the patient to be hospitalized. A severe TBI impacts more than just the victim. The family suffers as well. Doctors, family, and coaches should understand how a TBI is classified. A common clinical tool is the Glasgow Coma Scale, which analyzes whether the patient is in a coma or is experiencing impaired consciousness. About 43% of patients with a severe TBI have a disability one year after the injury. Over five million Americans live with some type of TBI-related disability that limits their ability to function. A number of studies have been conducted on the effects of sports injuries. One prominent study at the Florida Center for Headache and Sports Neurology scanned the brains of 40 former National Football League (NFL) players who had recently retired from the game. The study found that 43% of these players, who averaged age 36, had more white brain matter damage than healthy 36-year olds. White matter is an important brain factor for learning. White matter damage, another way of saying traumatic brain injury, can lead to chronic traumatic encephalopathy, Alzheimer’s, and other brain conditions. The study did not find a direct link between the number of concussions a player suffered and the amount of white matter damage. There did appear to be a link between the number of physical hits and white matter damage. The NFL is now determining the right balance between protective research and recommended treatments, the safety of current and future NFL players, and the cost of settling legal claims by prior NFL players. The NFL research may, in time, help high-school and college athletes. Still, more studies need to be done to determine the dangers to children and the best community and medical course of action in the treatment and prevention of TBI and other sports-related injuries among children. Contact us if your child has been injuried in high school sports. 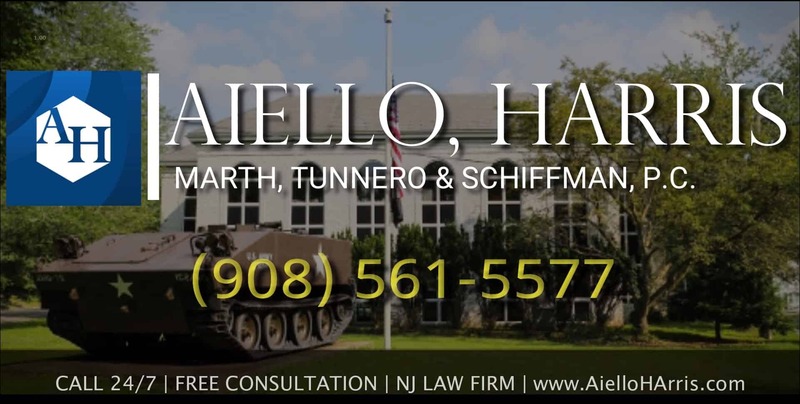 The personal injury attorneys at Aiello, Harris, Marth, Tunnero & Schiffman, and P.C. 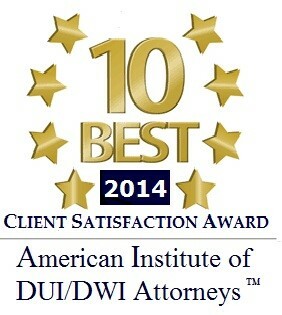 are experienced personal injury attorneys. They work with medical professionals, including neurologists, to help determine the cause of sports-related concussions, what steps could have been taken to prevent the injury, and the medical care needed to treat the condition. 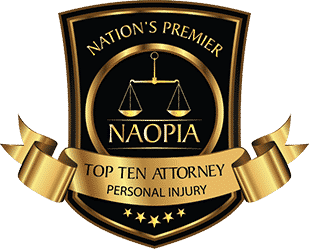 To schedule an appointment with a sports injury attorney, please contact the firm at (908) 561-5577 for a free consultation, or complete our contact form to make an appointment.